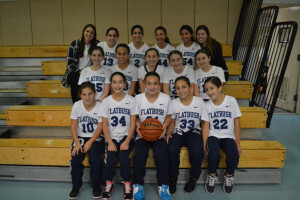 The Flatbush 7th Grade Girls Basketball team played its first ever game on Monday night (11/20), and the Falcons were in high gear from the start, but the Silverstein Hebrew Academy counter attack let the visiting Sharks build a lead that a late Falcons run could not overcome as the host team fell on opening night at the YoF Elementary School Gym in Brooklyn, NY. With the start of the 2017-18 season, the MJDSBL implemented a new divisional split in girls basketball, with competition now available for teams made up entire of 7th grade and 8th grade players (until now, there was only one division that combined the 7th and 8th graders on one team). The new divisional breakdown means more opportunities for more players to gain experience both in practice and game settings, twice as many players, to be exact. It also meant Flatbush needed to find additional coaches, and the administration tabbed a home-grown Falcon for the position in Sylvia Franco. 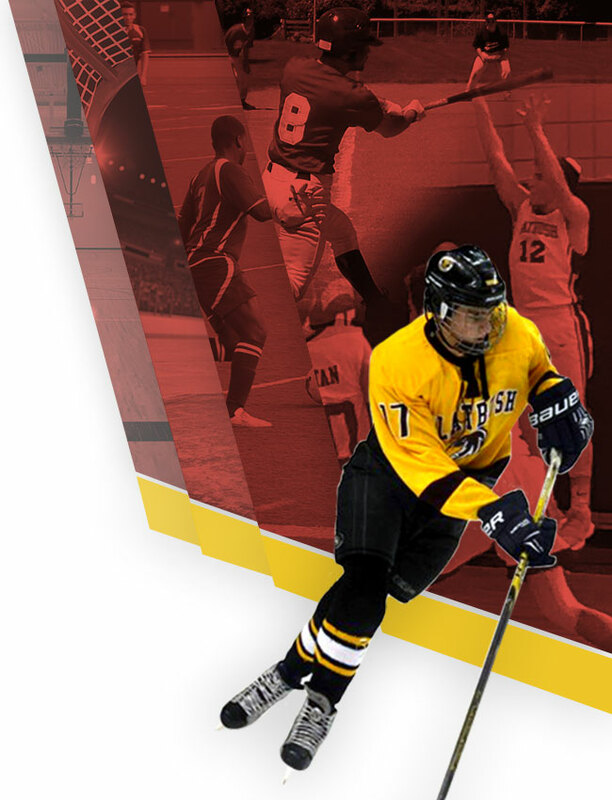 Franco is a recent graduate of the Yeshiva, and a four year member of veteran Head Coach Rozan Mizrahi’s program. 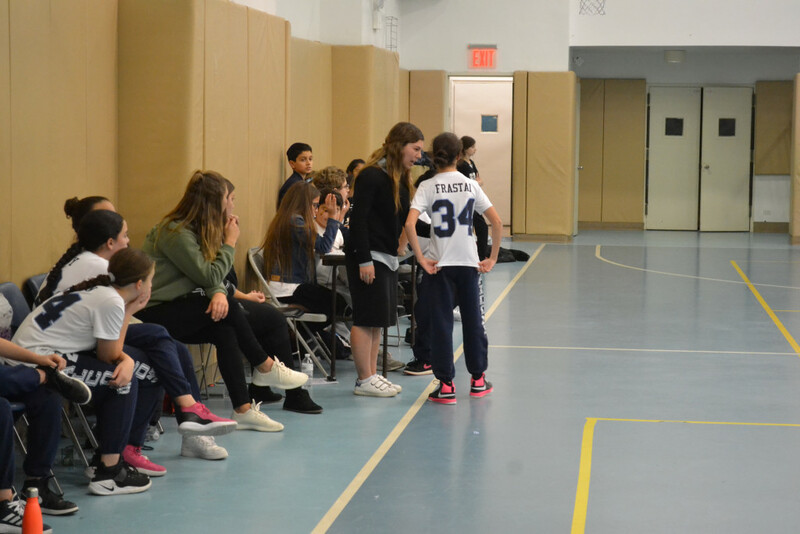 After graduating in 2016, Franco joined Coach Mizrahi’s HS staff as an assistant, and when the new 7th Grade team was formed, Mizrahi new exactly who to recommend for the new position with the new team. 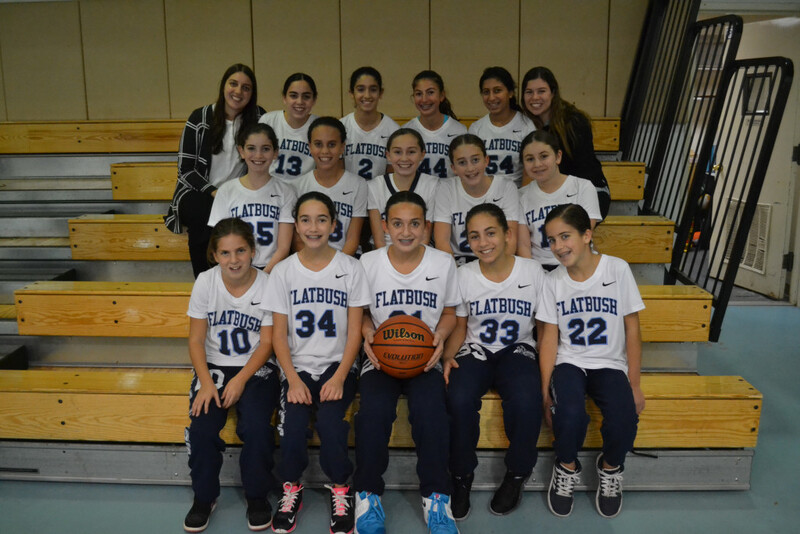 With the majority of the team that competed for Flatbush as 6th graders on the roster, there was a core to begin building on, and at the outset of the game, that core hit the ground running, with Center Robyn Beyda directing the tip right to Danielle Frastai for a driving lay up and the first points of the season. The Falcons sprinted out to a quick 6-0 lead, and looked to run away with the contest. But, things took a different turn from that point on. 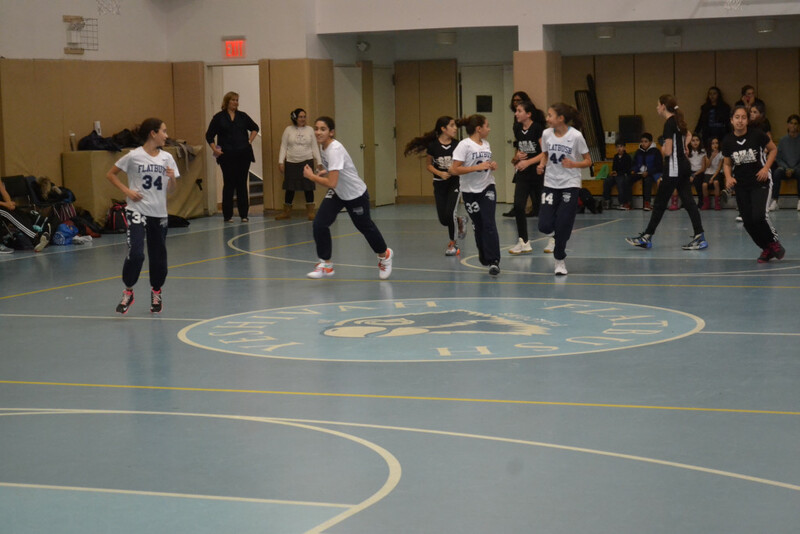 Though Flatbush held the early lead, it could easily have been twice that amount, but the Falcons missed on a number of inside shots. 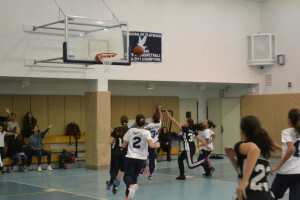 When Silverstein finally got their legs under them, they began to take the rebounds off the errant Falcon shots and push hard up the court for fast break opportunities of their own, and they converted on them more often than not. Very shortly, the Flatbush lead disappeared, and the Falcons were soon looking up at the Sharks watching the deficit slowly grow. By the end of the third quarter, the Shark lead had ballooned to as many at 17 points. But, these Falcons are resilient. 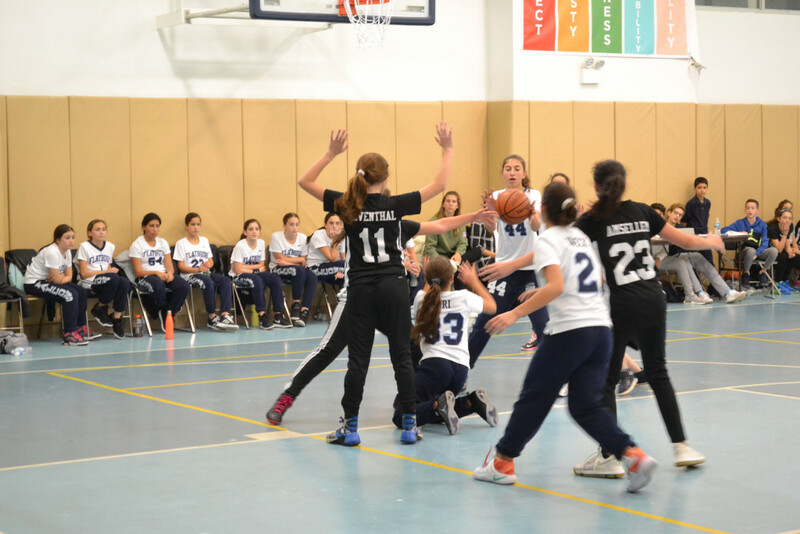 Coach Franco marshaled her girls, and they responded with a late run, cutting the lead down to 9 points, with Frastai and Sarah Siri leading the way. But, the hole the Falcons dug was too great to climb all the way out of. The Sharks held on to win the season opener for both clubs, 39-28. 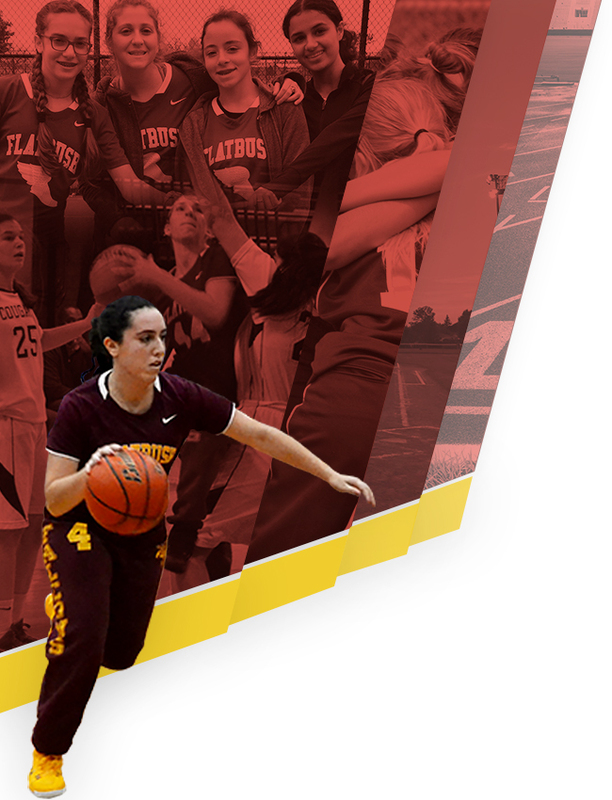 NEST NOTES: The Falcons were led in scoring by Danielle Frastai’s 14 points. 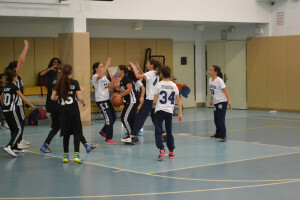 Sarah Siri added 8 points, Linda Gindi scored 4 points and Leah Cohen rounded out the scoring with 2 points on a nice jump shot. 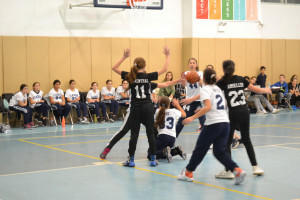 That “next time out” will come in two week’s time, when the Falcons will have a chance to turn the tables as they will again host these same Sharks from Silverstein Hebrew Academy on Monday, December 4. Game time is set for 7:30 pm.